Mike Helke grew up in Minnesota's St. Croix Valley. 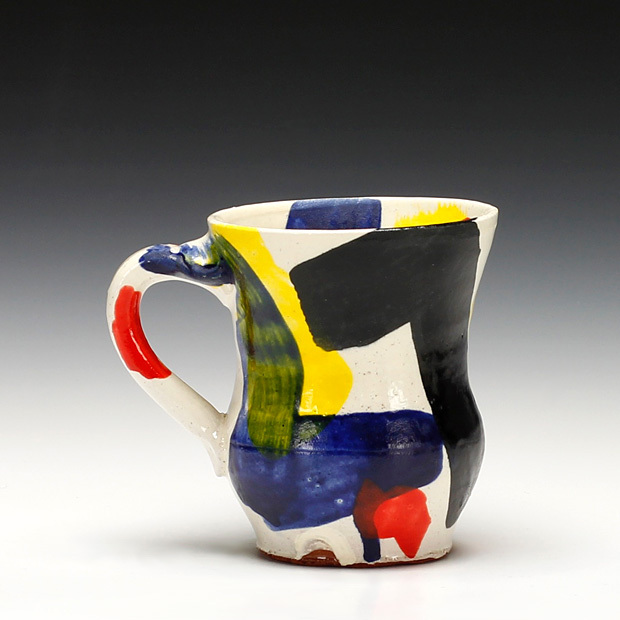 He received a BFA in Ceramics and minor in American Studies from the University of Minnesota, Minneapolis and an MFA from the New York State College of Ceramics at Alfred University, NY. Helke recently relocated to Stillwater, MN where he lives and maintains a studio. During a recent kitchen remodel I found myself working with wood for the first time. The directness and predictability of this building process was different from working with clay—my lack of both tools and carpentry skills served as limits to how I could use the wood. I was intrigued by the complexity of this minimalized language. This idea of limits makes me wonder: How might it translate in clay and what would this translation mean for an object? As a maker, the action of my hand can trace the memory or energy of an experience through illusive rhythms generated by form, positive and negative shapes, and building process marks. This unpredictability prevents a sense of austerity and instead gives the work an unassuming but active sensibility. This can inspire a sensory response, visually and tactilely, offering a sense of pleasure, visually and conceptually, both for me as the maker and for the user. Instead of a lasting feeling of happiness, this state provides a momentary relief and a feeling of delight—a temporary sensation, almost, but not quite tangible or definable; a lively sensation made seductive by its fleetingness. Each piece physically and conceptually records an animate sensibility derived from my experiences. This record is the catalyst for a call and response relationship that exists between maker, object, and user.